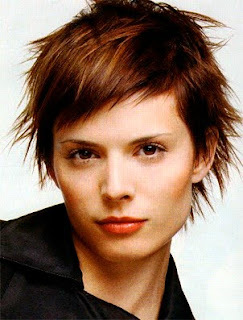 The undercut has been a popular haircutting technique since the Punk era where if your hair didn’t have some form of an undercut you weren’t so cool. 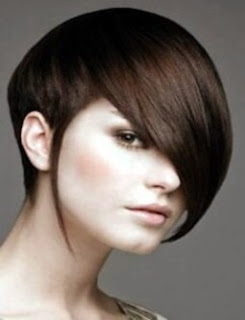 And through the past few decades and certain styles hairdressers have used variations to achieve certain looks or simply just to remove bulk in areas of the head. 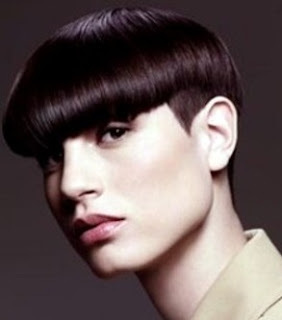 It can be a soft approach or taken to the extreme, but a sure thing is that a disconnect (undercut) whether it is done at the fringe (bangs), sides or back of the head still offers unique way’s of slimming down certain face shapes and adding a bit of stylish edge to a haircut. 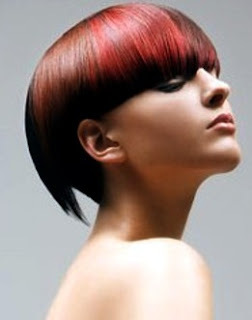 Being a colorist I have always loved the undercut because it presents me opportunity’s to create fun and easy hair color placement ideas, and with the likes of Rihanna and her disconnected haircuts and a few others today the undercut is finding a little spotlight in 2010.
the undercut has always played a major role in hair fantastic!!!! it's a hot look , strong! love the pic's, Rihanna wears it oh so well!